After months of rain, the sun was finally shining on Opening Day of the North Torrance Little League (NTLL). On Saturday, February 23, 2019, the NTLL athletes comprised of boys and girls from age 4 to 14 sporting their new team uniforms were surrounded by their families and community supporters to start the season with special Opening Day festivities! Parent volunteers served a pancake breakfast to help energize the kids, followed by a short program that began with a beautiful rendition of the national anthem sang by Nikki Rose. 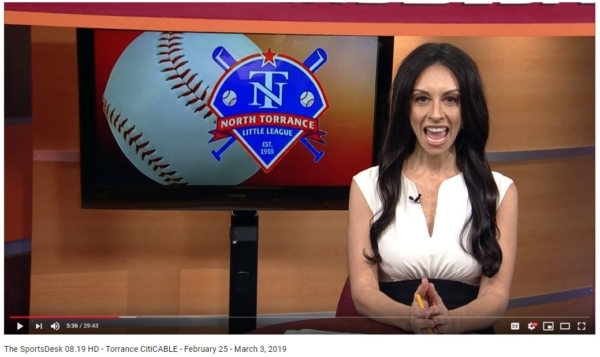 NTLL Board President Bob Tomaselli introduced the NTLL Board and Torrance Board of Education member Jeremy Gerson, then NTLL Board Sponsorship Coordinator Robin Macdonnell made a special announcement recognizing the league’s new partnership with the Torrance Refining Company, LLC (TORC). 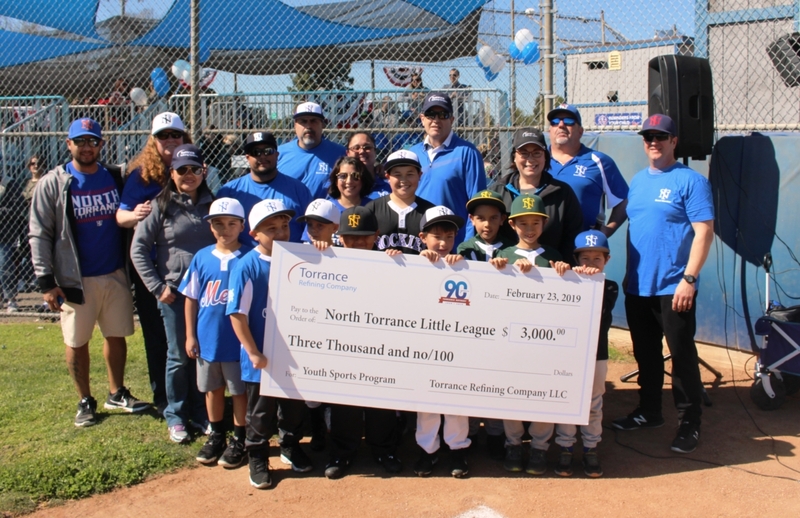 TORC Community Relations Manager Barbara Graham stated, “We’re proud to partner with North Torrance Little League. Sport provides many valuable lessons like teamwork, commitment and dedication to a task – values we share at our work at the Refinery.” Barbara also thanked the parents and volunteers who make it possible for the kids to participate in the league. Refinery Manager Steve Steach, Community Relations Advisor Gesuina Lafayette, and PBF Western Region External Relations Manager Brandon Matson, all Torrance residents, then joined Barbara and presented a $3,000 donation check to the kids. Steve Steach had the honor of throwing the first pitch to officially kickoff the season of baseball for the north Torrance community. Play Ball! To check out the Torrance CitiCABLE coverage of the event, click here. To learn more about NTLL, click here.